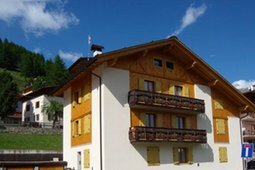 The holiday apartments Vegaia are set in a residence, in the heart of the Val di Peio, a valley in the Stelvio National Park. The structure consists of six three-room apartments, each of 50 square meters, finely furnished, with individually controlled heater. 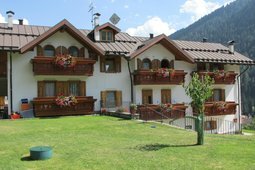 The Hotel San Rocco is located in Peio Valley. The hotel has been appreciated ever since for its excellent cuisine, which is managed directly by the owners. It offers typical, national and international, traditional and innovative dishes, and fresh pasta and pizza. Forget stress, enjoy your holiday in the "Little Alpine World" in Val di Pejo. A homely atmosphere as in one's own home welcomes you. 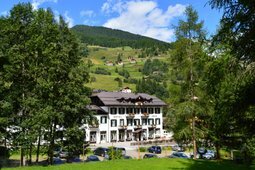 The Hotel Santa Maria is located in Peio Fonti, 300 meters from the thermal baths of Peio, in the Stelvio National Park. Come and enjoy the many natural attractions offered by the beautiful mountains of the Val di Sole. 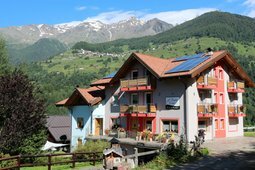 The hotel is situated in the Pejo Valley, at 1200 m. on the sea level in the Stelvio National Park, in a quiet and sunny area close to the village Cogolo. Perfect destination for sport lovers and hikers, but also for simple tourists looking for some fresh air and relax. 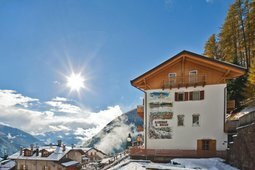 Offer: Vacanza natura "il monda alpino"
The hotel is located in the center of Peio Fonti - Pejo Terme, in a quiet and sunny location in the Stelvio National Park, only 50 meters from the Peio Thermal Centre, recently expanded with a Wellness Spa of 500 square meters, where hotel guests enjoy special rates. 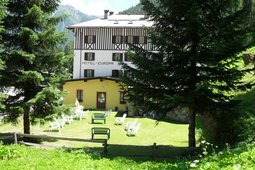 Welcome to the historic Hotel Pejo in a privileged, quiet and sunny location in Val di Pejo, surrounded by a wide private green park, in which a thermal source of oligo-mineral water flows: a place for real relaxation and comfort. Casa Bamby is a family run holiday house offering spacious and cozy apartments in Cogolo di Pejo, in the astonishing landscape of the Stelvio National Park. The area is perfect for beautiful walks and excursions in the nature of the Trentino region. 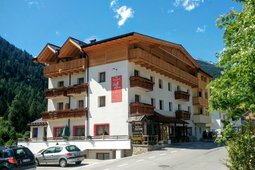 The Hotel Gran Zebru has been managed with passion and professionalism for more than 20 years by the Moreschini family and it is the ideal place for those who dream of a relaxing holiday in the Stelvio National. 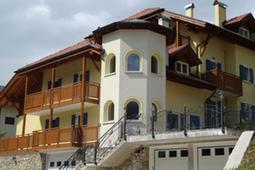 The guesthouse is located in the Stelvio National Park, just 3 km from the SPA of Pejo. In summer you can choose from a wide range of walking, hiking and cycling paths. 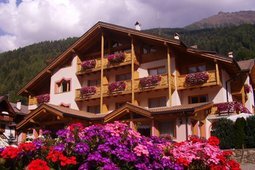 The hotel is located in Pejo, 1585 m a.s.l, a typical mountain village surrounded by the majestic Dolomites of the Ortler group. The Hotel Centrale offers the ideal atmosphere to live an unforgettable holiday. If you want to enjoy a relaxing holiday, there is nothing better than a mountain stay and hiking in the pure nature. Discover the trekking paths or high-level-routes, where chamois jump along the ridges.